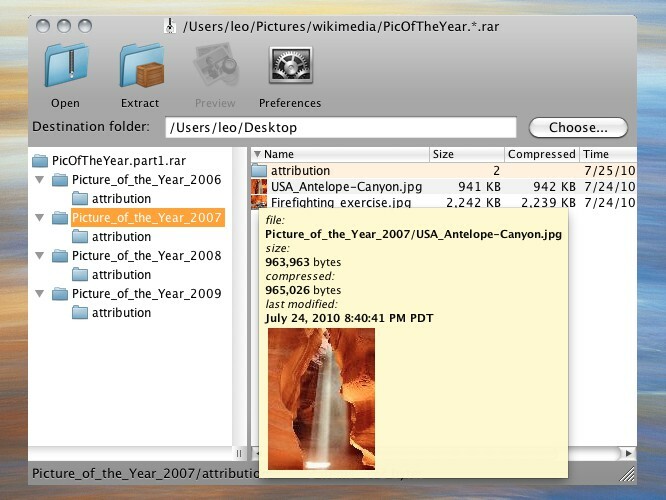 Zipeg is free utility for Mac OS X. Zipeg allows you to open and explore content of zip, rar and other archives, preview files and images before you extract/unzip them. Extract only the files you want. Zip thru photo archives. See image thumbnails. Zipeg allows you to decide what do you want to extract. You can choose what to extract and where to put extracted files or just drag and drop them.